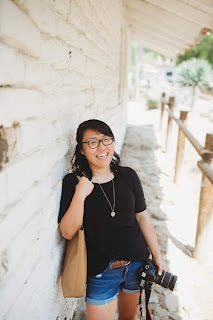 BLOG TALK: ON BEING AN AMERICAN BLOGGER. 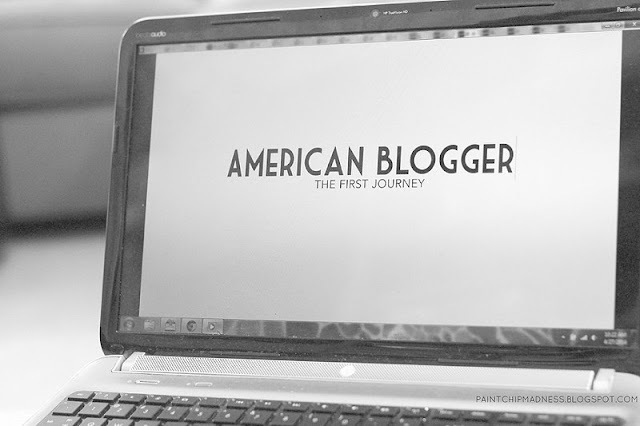 There's been a lot of hype about The American Blogger. And like everything in life, there have been critics and there have been supporters. And I have to say, as both a blogger and viewer of this documentary, I am a supporter. I've never attended a blogging conference, but to me, watching Chris' documentary felt like going to one. So many women (see the complete list of participating bloggers here) that I've read about and followed speaking and expressing the exact words and emotions that I feel when it comes to blogging. I saw faces light up when they talked about making friends online, about the incredible blogging community, and about knowing more about their blogging friends than their real-life friends. And I couldn't help but see myself in them and in the words they spoke, too. Blogging is one of those things that you learn as you go. You learn what works for you, you learn what you're passionate about, and you learn how to live life--through the ups and the downs. Blogging is a (very) public diary of sorts and yet it's also a community. And it's a (pretty) safe one at that. American Blogger exposed me to stories of heartbreak and all that nitty gritty stuff in life. Stories of love and stories that I know only God could write. And that's when I was reminded that despite all the mean words said about this documentary, one thing will never change: these women are real and brave and full of life. And these are the kinds of people I look up to and aspire to become with each post I publish. They're the kind of people I want to surround myself with: both online and in real life. So yes, this documentary is amazing. And yes, you really and truly should watch it. And while I could go on and on and on about this documentary and the amazingness that is blogging, I want to let you decide. I want you to experience it first hand. So go out and watch it. Meet these amazing bloggers and then go out and blog. The American blogging experience is out there, my friends. Go and find it. I LOVED it too! So much negativity surrounding it... but I just feel like those people are just THOSE people. That always want to have a fight going. I really did love it. If you remember its one artist's depiction of something, you can totally see it in a different way. I think too many people were forgetting this was the case... one man and HIS right to create what he felt inspired to! You should be, because it's amazing! :) And I agree with you on the trailer backlash. It was so discouraging to see people bash it--especially after hearing and reading about all of hard work that both Chris and the bloggers involved put into it. i hadn't heard of this - but i can't wait to watch it now!!! :) thanks for sharing & i totally agree with everything you said about blogging! i love it! I love how you said: "stories that only God could write", that is so true and one of the reasons i love hearing other peoples stories, it makes me feel like i am connected to them in some way. That's true with blogging as well, i never knew how much community was in blogging till i reached out and discovered it. And you are so right on sharing stories. Sharing stories is so intimate, so close to the heart that there really isn't any way not to be connected to someone when they do it. It's also why blogging is so amazing. It's a place where you can connect and support and be there for people all over the world! :) And like you said, it's something I, too, didn't truly understand until entering the blogging world! I thought it was great too! I hate that it has gotten so much negativity around it but to me it was beautifully filmed and very motivational. Apparently, I live with my head in a hole! I totally missed out on the negative hype going around! From the moment I heard about it, I was excited! The ONLY thing I would change about blogging is the distance between all of us so that we all could become in person friends. :) I'm excited to see so many of the bloggers talking and moving about in their real lives. Haha, well, there's nothing wrong with that! Sometimes it's better not to be surrounded by it. :) You can easily Google it (not that you'd want to), but there was a lot of backlash about the lack of diversity and how perfect the women in this documentary looked. Have you seen it yet? Another blogger and I were talking and we were thinking how great of a blogger meet-up activity it would be! You should! It's pretty much a must-see for bloggers. :) I can't wait to hear what you think about it! I can't wait to watch it myself! No problem! I really only like to blog about things that I love, so it's easy to say that I loved this documentary. :) I hope you get to see it soon! I hadn't heard of this, but am SO going to watch it! Thanks for the suggestion girl! Is it brand new?? I am going to check to see if I can order it on Netflix! You should! I think the only way you can order it (at least right now) is through the website, but once you purchase it, you can download it right onto your computer/devices! wow, i had no idea about this. going to look it up now! I haven't seen the film yet, but I hope one day I can watch it soon. I think one reason there might be backlash is because people who don't blog, don't understand it. They don't know the community that can come along with blogging or why we would write so much about our lives and what-not for all the internet to see. Unless you are on the inside of something, it won't make sense. I remember the first time I talked about my blogging friends with my IRL friends, some of them didn't understand it. They were like, you don't know them for real? But, really, I do. So many bloggers are real and genuine in their space and that is what I want. That is what I want to read and that is someone I want to be friends with, in real life or through blogging. I agree! There was actually some backlash from bloggers but I won't go into how I feel about people bashing others/other people's work. :) But like you said, there really are a lot of people who don't understand the blogging community and to be honest, I was one of those people way back when. But like you said, once you enter the community, you realize just how amazing it is and how real it is, too!